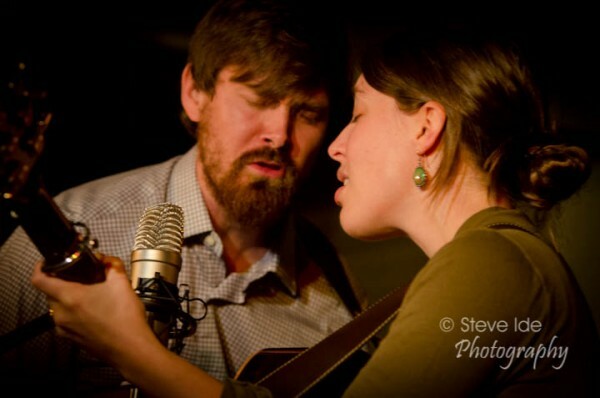 On Saturday, the Rose Garden again plays host to The Honey Dewdrops, a couple from Baltimore, Maryland that has managed to develop a singular sound that is both magical and hard to define. 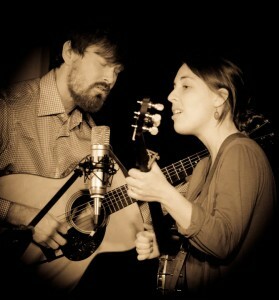 From simple blending of their voices to complex riffs on guitar, banjo and mandolin, the pair plays off one another seamlessly and the results are pure and innovative. I asked them a few questions to try and get into the head of these talented performers in advance of the show. For more information about the show, visit the Rose Garden website. How has your music evolved over the past several years, and what can people expect from The Honey Dewdrops? People can expect to hear original songs, harmony singing, and duet style instrumentation including frailing banjo, guitar and mandolin. Our songwriting comes from the heart and deals with what’s right, what’s wrong, and how to get better. Our sound explores how two voices and two instruments can can fit together and play off of each other. In it you hear echoes of traditional American music, the personal themes of contemporary singer-songwriter styles along with our own unique ways of playing and singing. And we’ll be sharing songs from our brand new record called Tangled Country. What moves you both as musicians? In other words, what particular notions or ideas for songs get you excited as entertainers? I think the simplest way to say it is that change moves us, makes us think, forces us to reconsider what we thought we already knew, and keeps us from becoming stagnant or too set in our ways. The ideas that excite us are the ones that make us look at who we are as people and help reveal human nature and how the world works. What do you hope your audience gets from each of your shows, and how do you hope to deliver that? We hope that our audience feels better at the end of our show. It’s a mysterious thing that happens when we’re moved by music. We know we love to hear music, and we say that its essential to life, but what that feeling is when the goosebumps come and the hair on the back of your neck stands up is hard to describe. There’s something good and necessary about that experience. Our way to it is through an intimate atmosphere, singing and playing with energy and emotion, and performing songs that try to express what is hard to express. How has being in the Dewdrops affected or changed your relationship with Laura (or vice-versa) and how has that manifested itself in your songs? Kagey: Probably need a novel’s length to get at this question! I’ll just say that the urge to get into writing songs and performing full time came with knowing that we’d be spending a lot of time together, much of it working in the form of playing music, but also with taking care of business details and driving around the country. We both felt that all of it, being tied together by work and a relationship, would be a benefit to our relationship, and it has been so far. It wouldn’t work for everyone. It’s not always easy on us. I feel lucky to get to spend so much time with Laura. I love playing music with her and digging into the work of song making. I love living so close to each other. This does pop up in ideas for songs. On our last record Silver Lining, the title song is about our experience together through the years. Laura: Once we quit our jobs 7 years ago, it felt like the most natural place to be was with each other- all the time. As with all relationships, there’s been an evolution over the 12 years we’ve been together and we’ve learned so much about how to maintain the workflow, each other’s boundaries and the time we spend together. It’s a very yin and yang energy especially with our songs, meaning that we balance each other through our strengths and weaknesses musically and creatively- can’t have one without the other, so-to-speak.